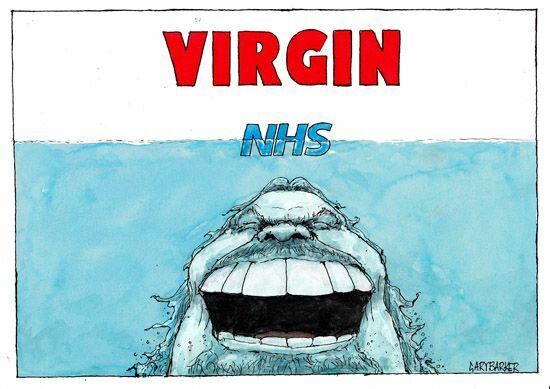 There can be little doubt the future of Britain's NHS is in mortal danger from this current Conservative government as stories circulate that their fat cat friends in the private sector are in line for a large chunk of the health service in the coming years. Many fear for the future and a return to the days when a trip to the doctor cost the average person a week's wages and also the adoption of a US style health system which is far less efficient and cost effective than the NHS. Many people seem content in the delusion that if they have a little Bupa coverage or similar they will be imune from any effects of privatisation of the NHS. But the I'm alright Jacks need to realise that in the USA the number one cause of bankruptcy are medical bills and the vast majority of those people had medical insurance.